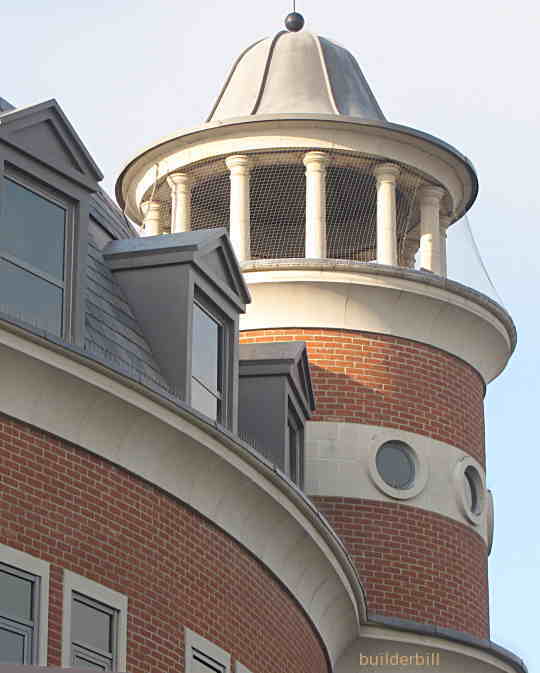 Stonework that has worked to shape with the faces that are seen brought to a smooth finish. To extend the definition, dressed means that the blocks are brought to the standard of finish required with relatively smooth faces. Also whatever decoration required is done to a good standard of finish. 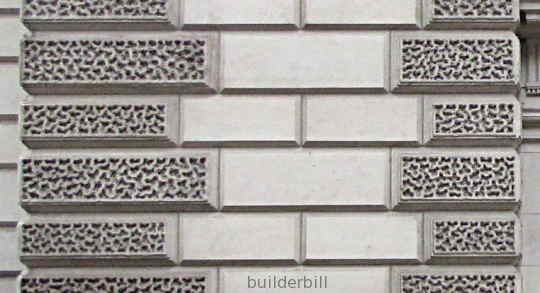 In in the example above, the flat surfaces, the beveled edges to the joints and the other features like the reticulated quoins are all done to a high standard of accuracy and finish. As one would expect from a public building in London's Whitehall, UK. Note that not all dressed stone is brought to the standard of finish in these two examples. In many instances various tool marks are left on as features.